Muse condos in Sunny Isles Beach is an ultra-luxury residential development with just 68 oceanfront residences. Completed in 2018, Muse was developed by Property Markets Group and S2 Development. The building design of Muse Miami was a collaborative effort between world-renowned architect Carlos Ott and well-distinguished architecture firm Sieger Suarez Architects while the common area spaces at Muse were designed award-winning interior design firm Antrobus + Ramirez. Muse rises 49 floors, offering breathtaking views of the Atlantic Ocean, Intracoastal Waterway, and city. Every residence at Muse Sunny Isles spans the width of the building. The condos at Muse Sunny Isles come fully finished with 8-foot-tall Italian entry doors, exquisite marble and wood flooring, custom Italian cabinetry, and personalized art from Helidon Xhixha. Additionally, each residence at Muse has 12-foot high ceilings, 60-foot-wide and up to 38-foot-deep terraces, outdoor living spaces complete with summer kitchens and weather-resistant entertainment systems, two private elevators and one service elevator, and custom smart-home technology. 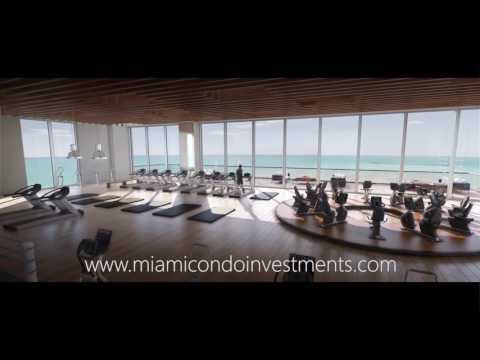 Muse condominiums is located at 17141 Collins Avenue, Sunny Isles Beach, FL 33160. Its location puts you within walking distance of a number of restaurants, bars, and banks. Additionally, by car, Muse Residences is 10 minutes from the Aventura Mall, 15 minutes from the Bal Harbour Shops, 25 minutes from the Fort Lauderdale Airport, and 35 minutes from the Miami International Airport. When did Muse Residences top-off? Muse Residences topped off in January 2017.